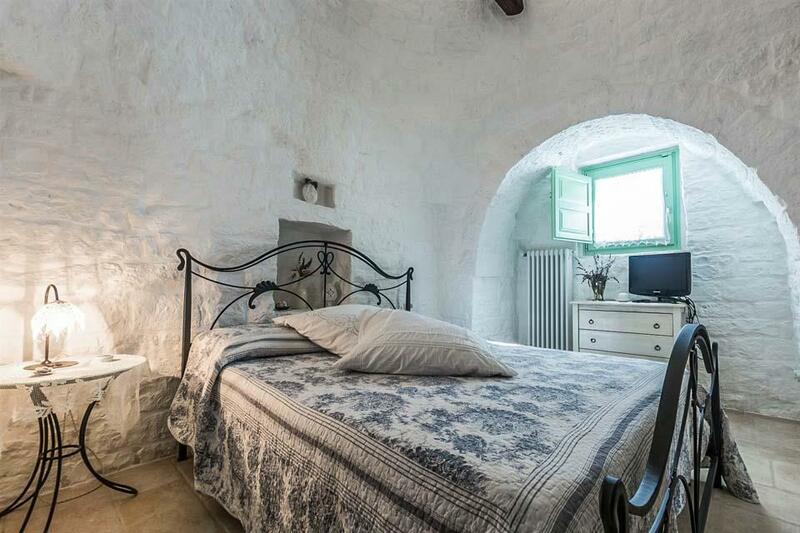 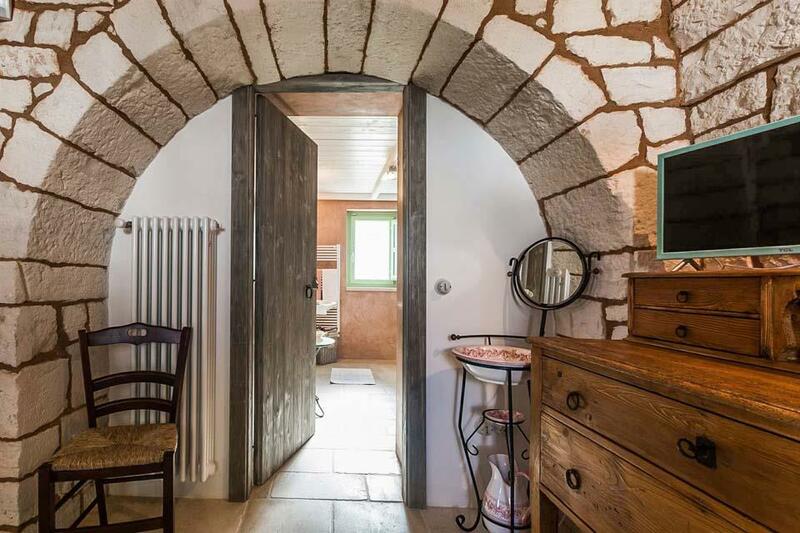 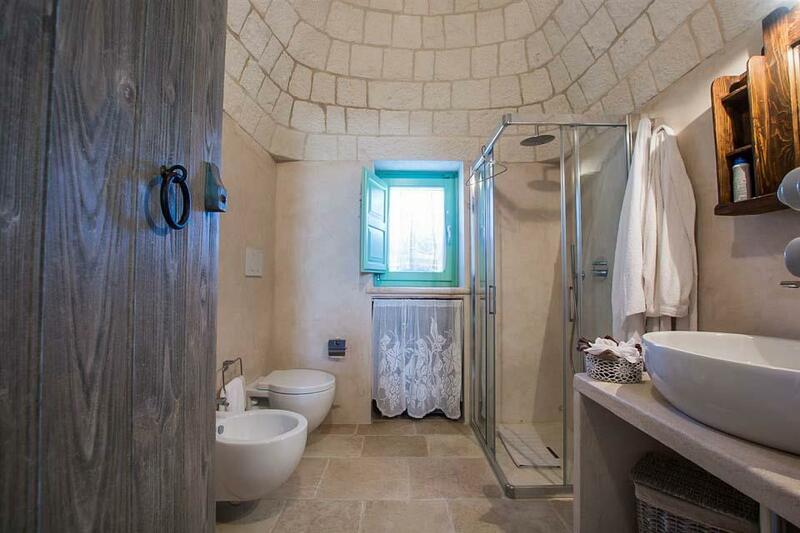 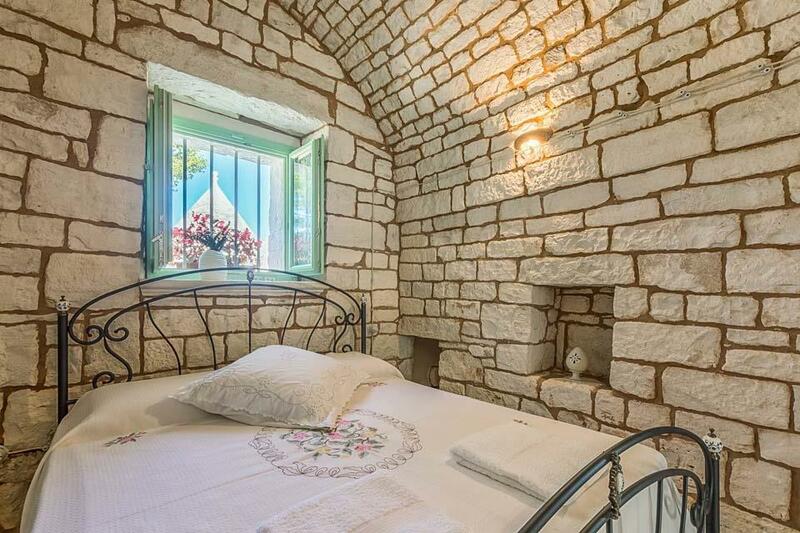 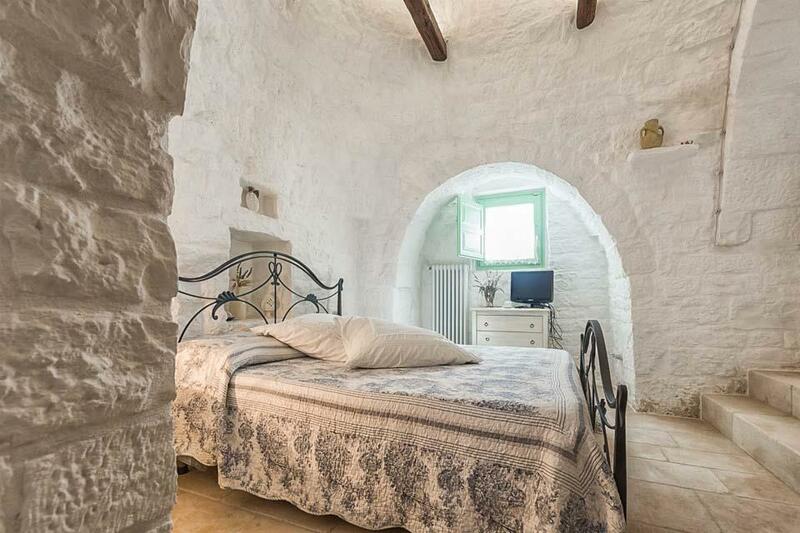 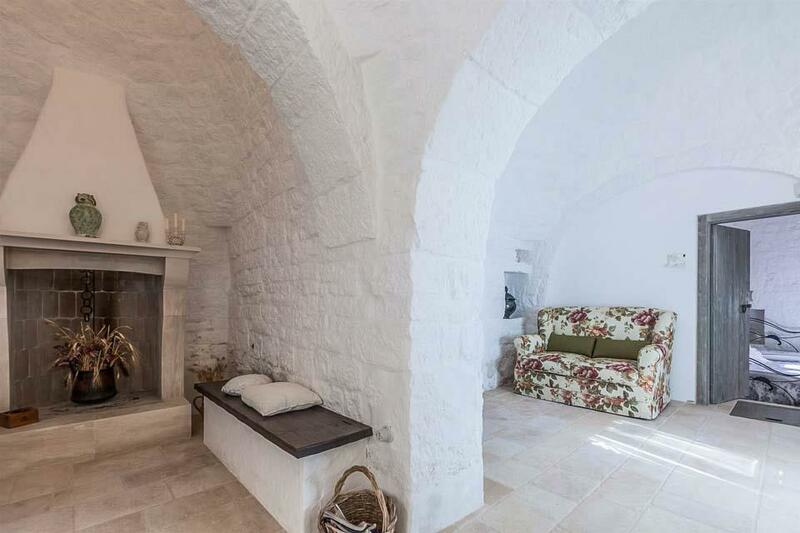 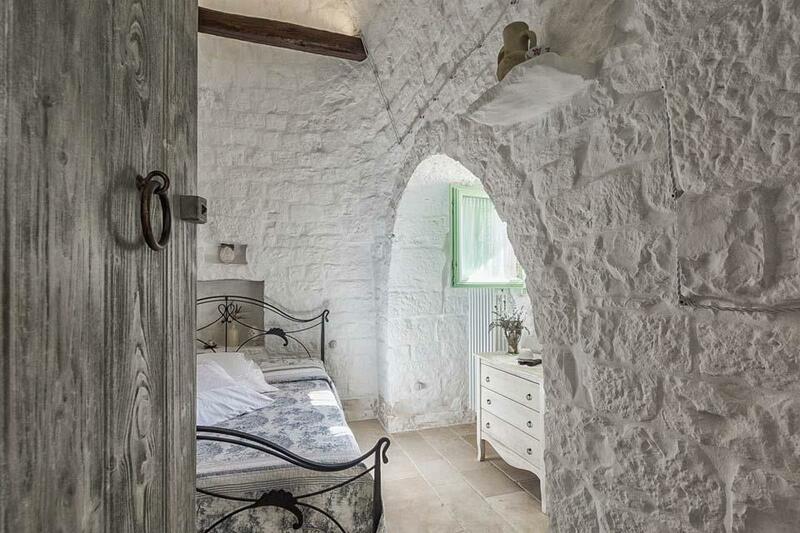 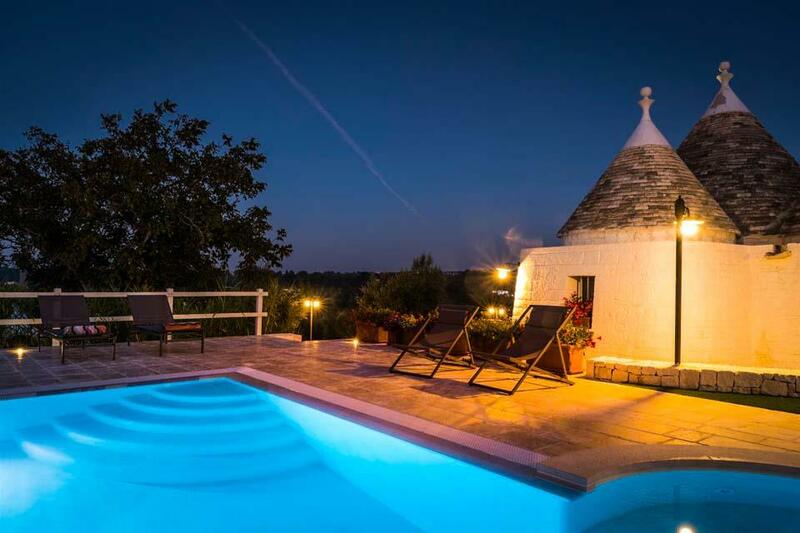 In the Itria Valley region, in the countryside of Martina Franca, Taranto province, you will find the beautiful Trullo Romantico. 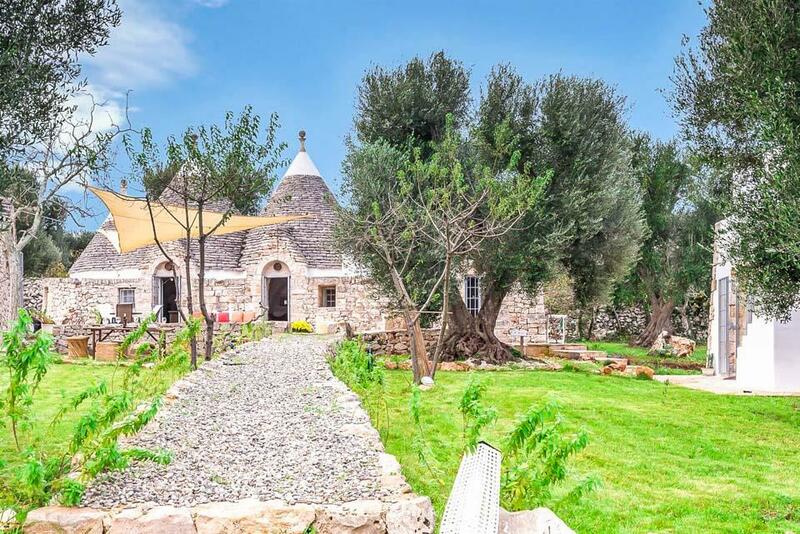 In the Itria Valley region, in the countryside of Martina Franca, Taranto province, you will find the beautiful Trullo Romantico. 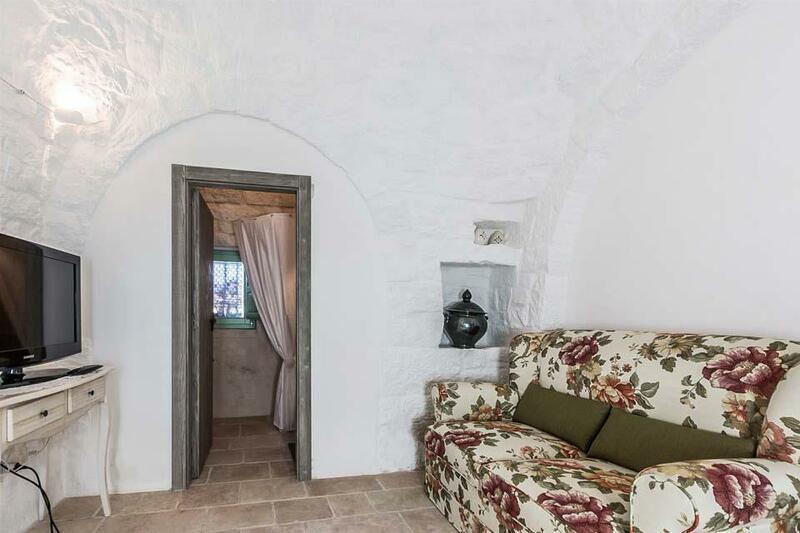 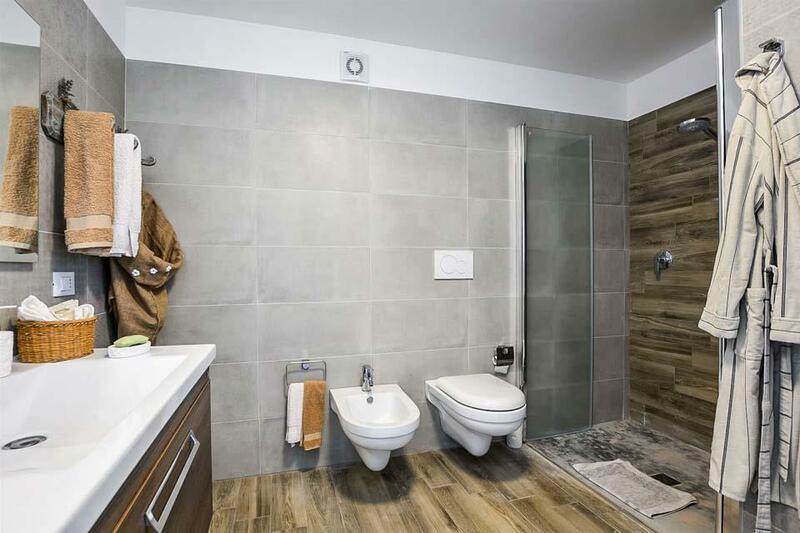 Here you have the benefit of two properties which share a private entrance. 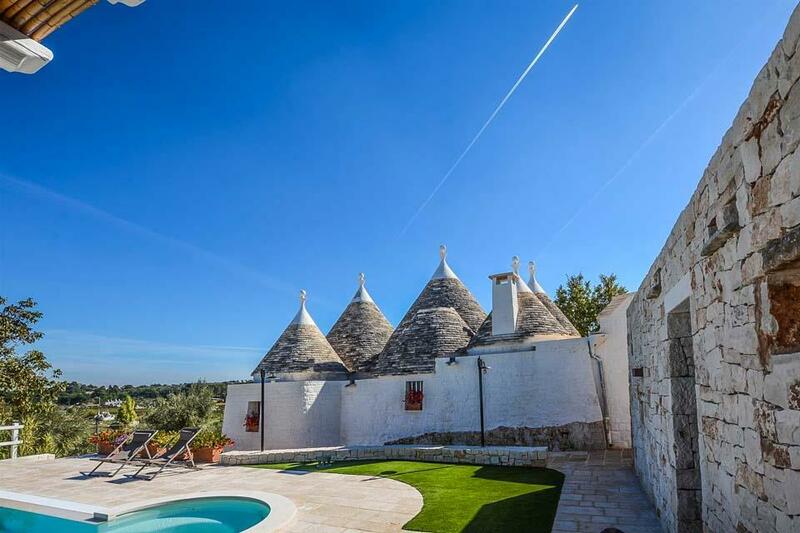 As soon as you arrive you can admire the beautiful scenery, centuries-old olive trees and Trullo’s scattered throughout the green valley. 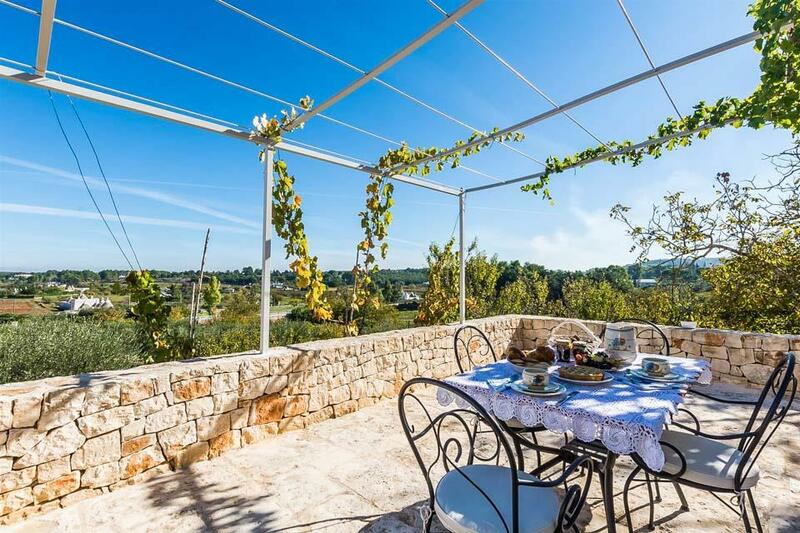 A glorious view across the countryside makes this a great place to enjoy your next holiday. 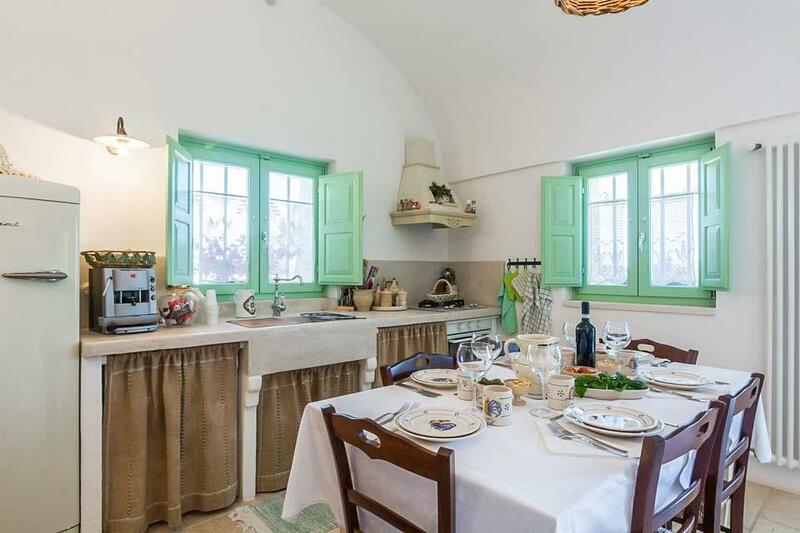 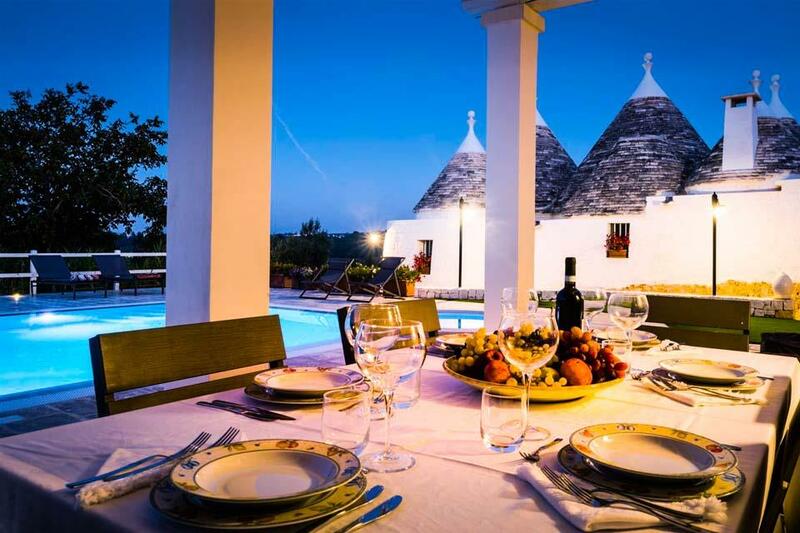 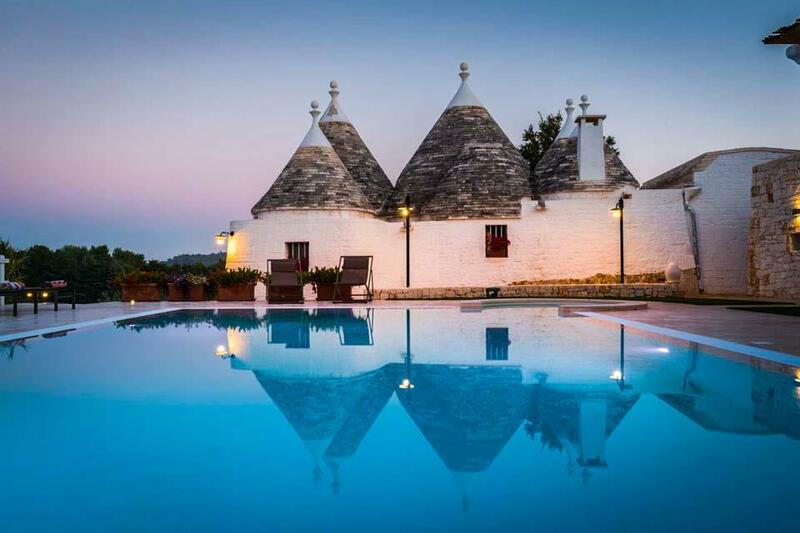 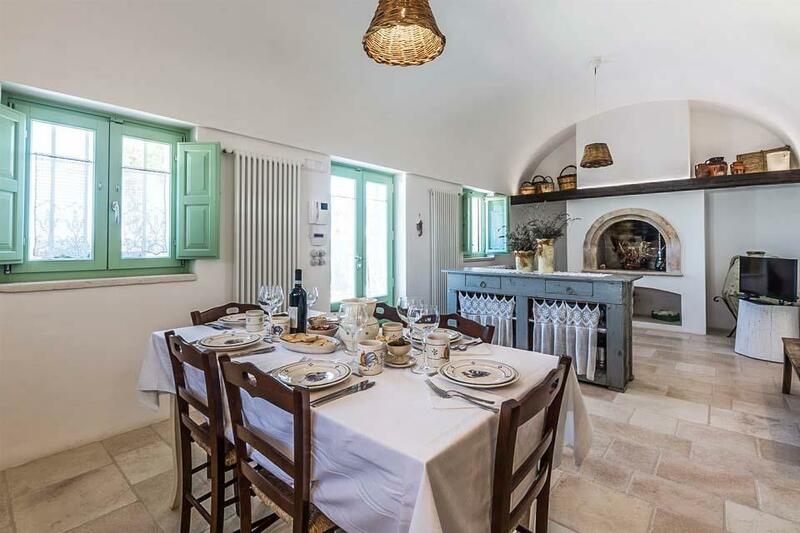 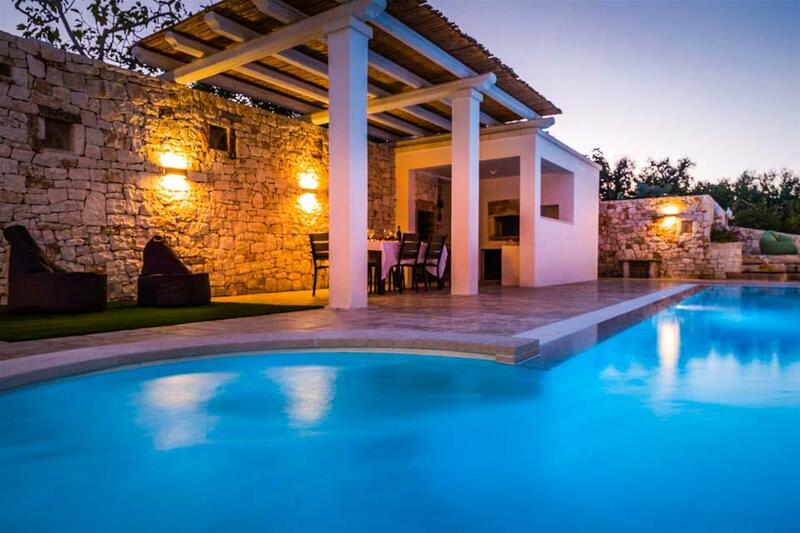 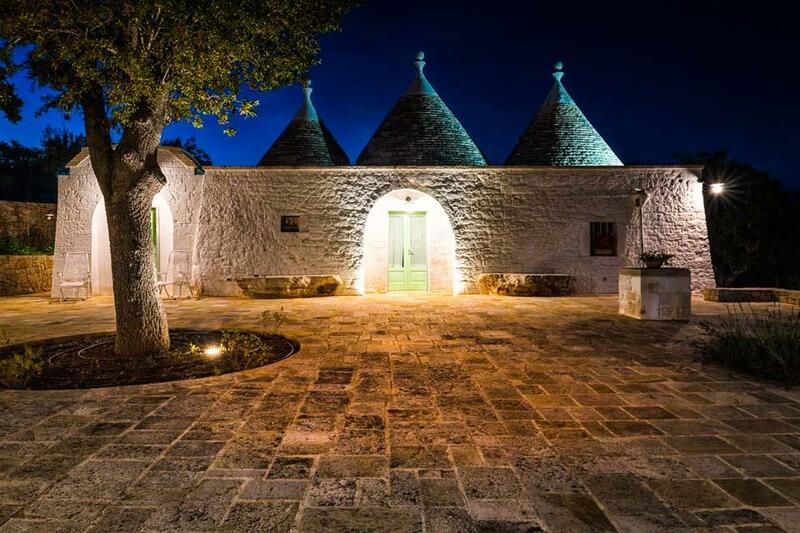 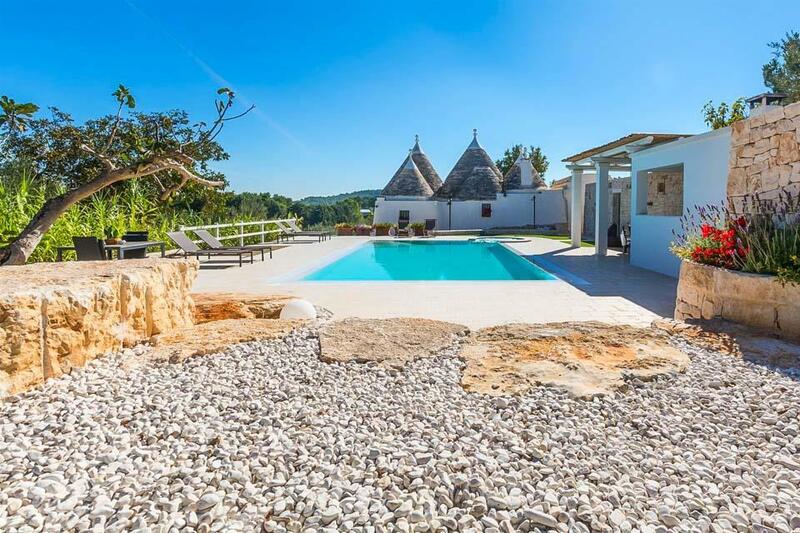 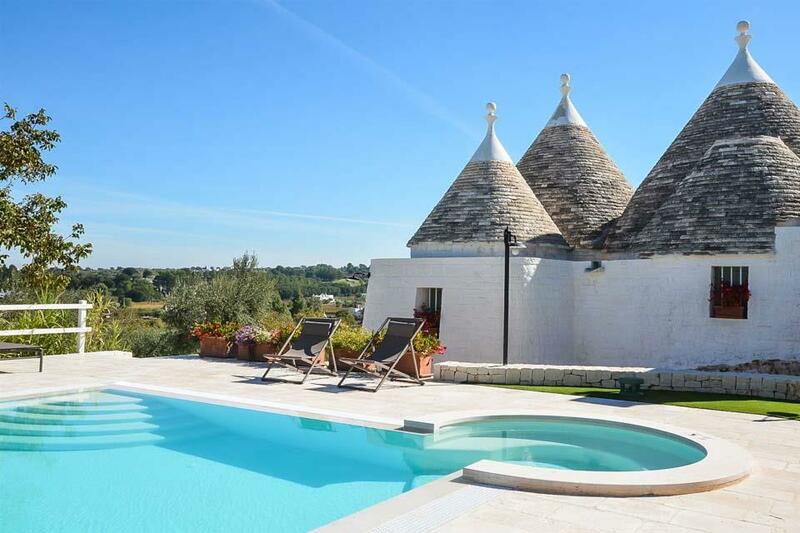 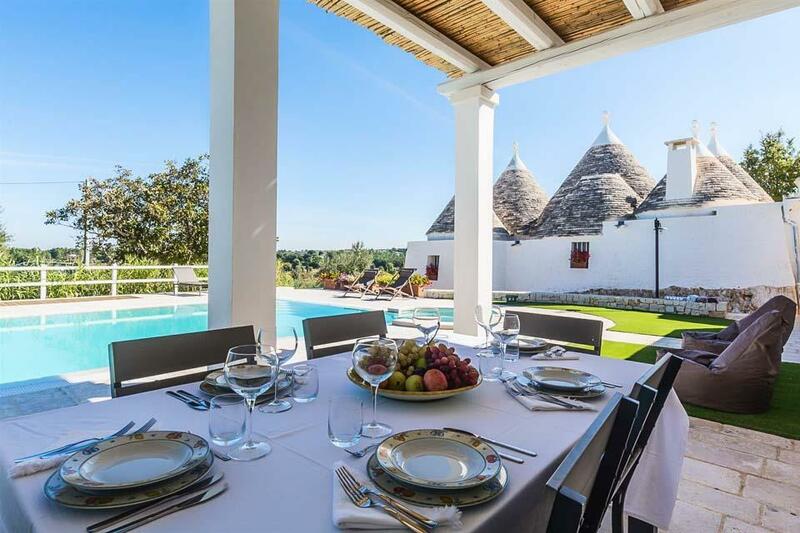 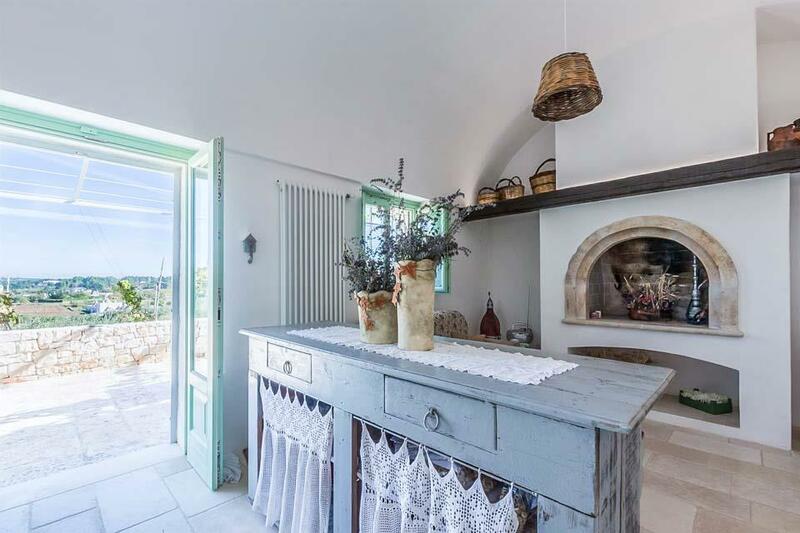 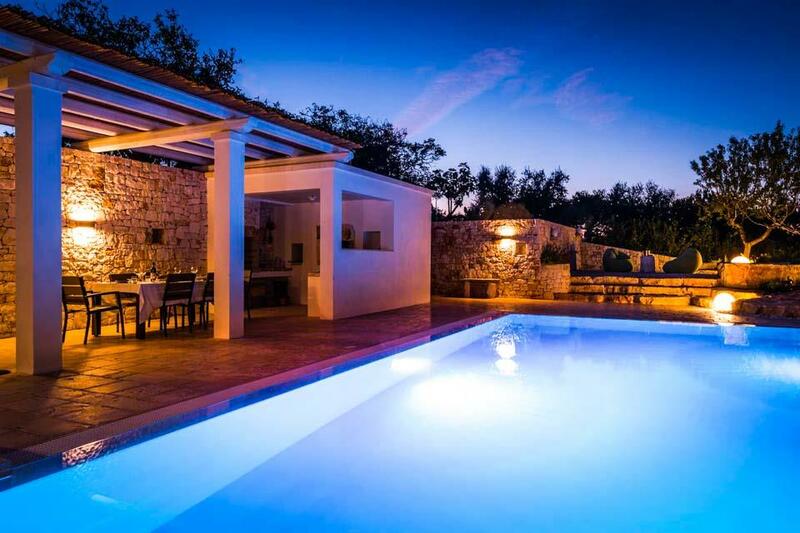 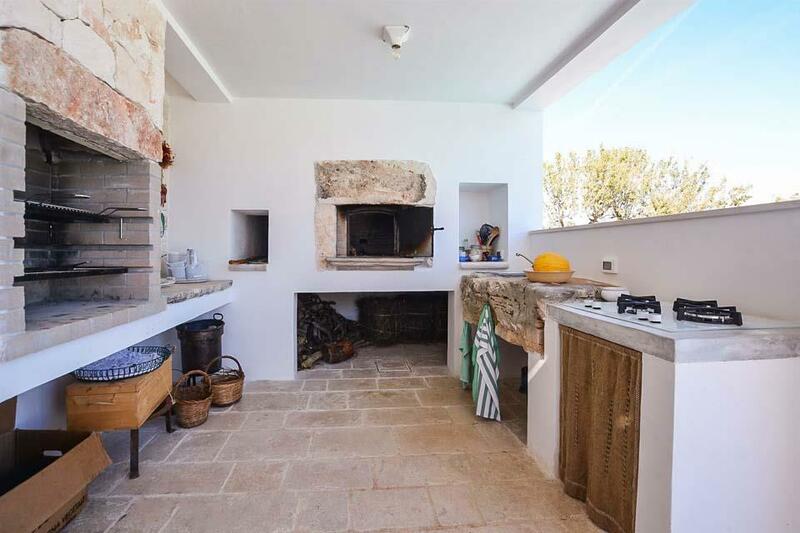 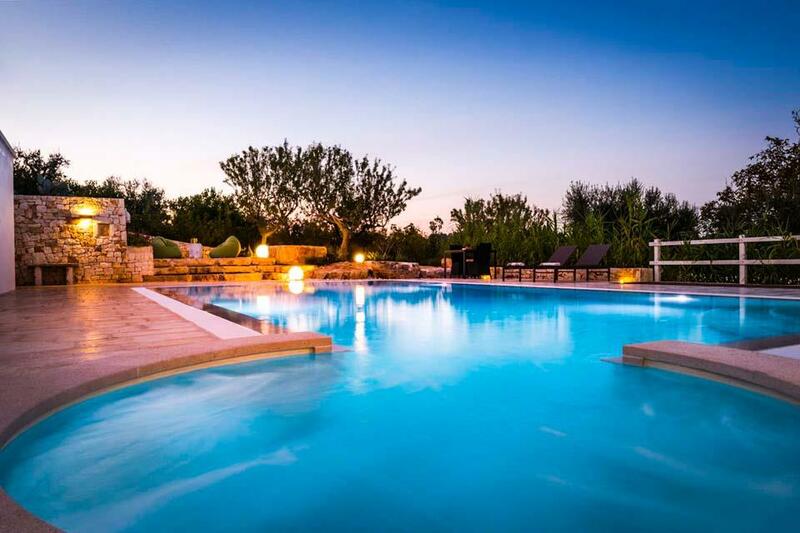 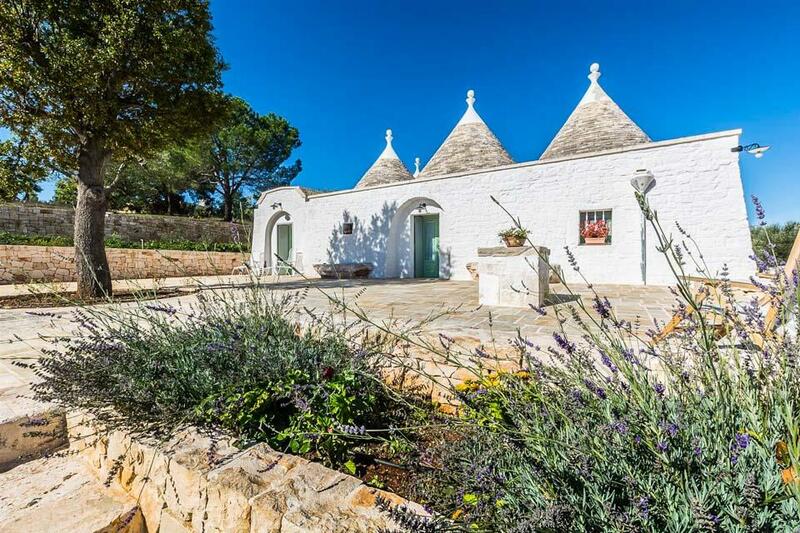 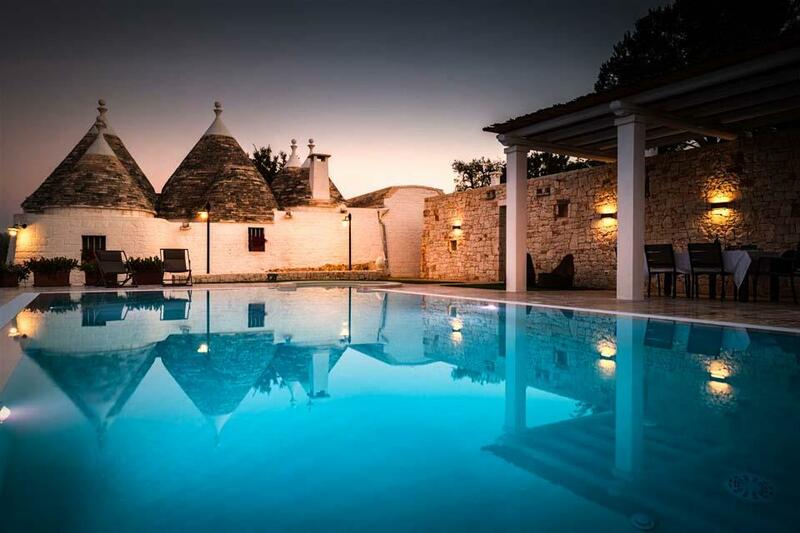 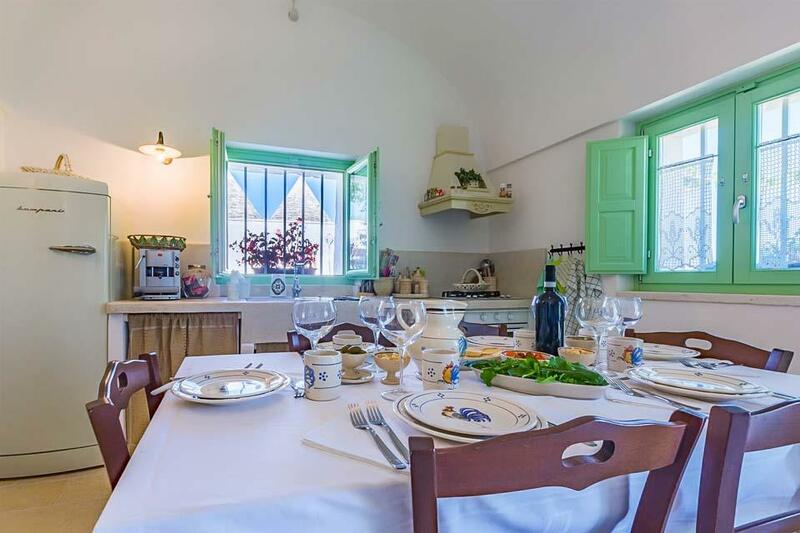 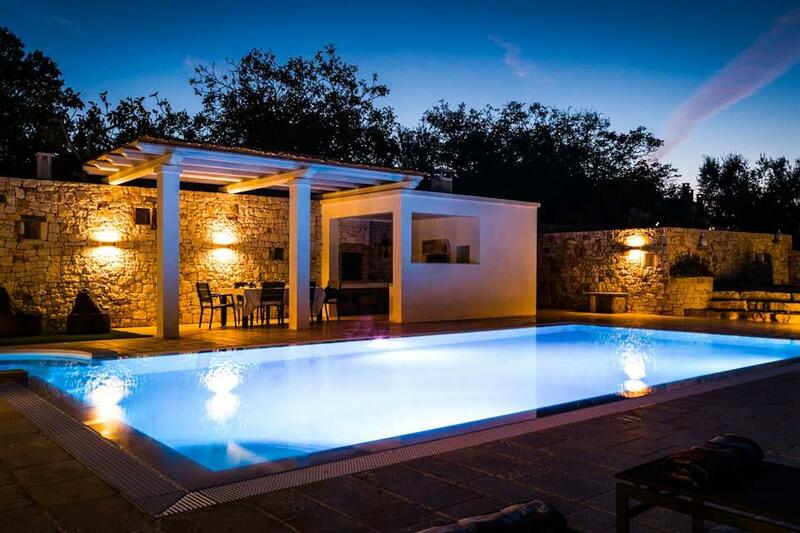 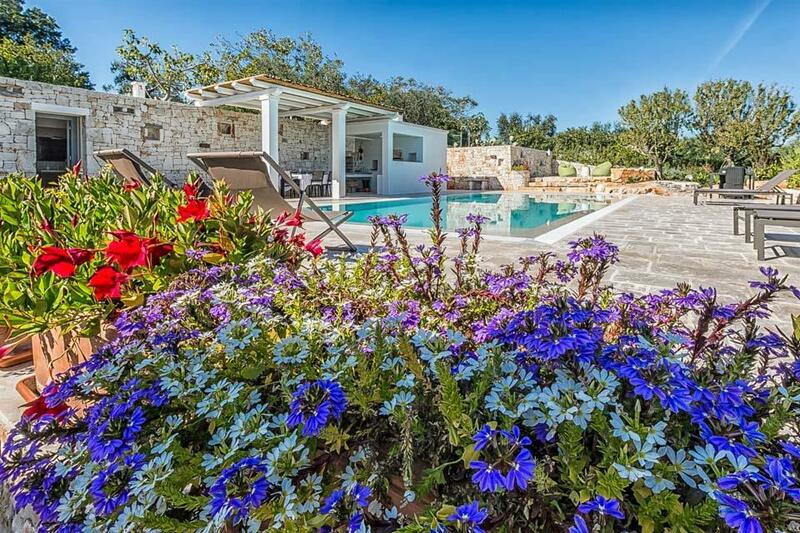 Trullo Romantico comprises of a large outdoor terrace with a spectacular swimming pool with hydro massage section, abundance of sunloungers and to the side a great covered terrace area where you can escape the heat of the sun. 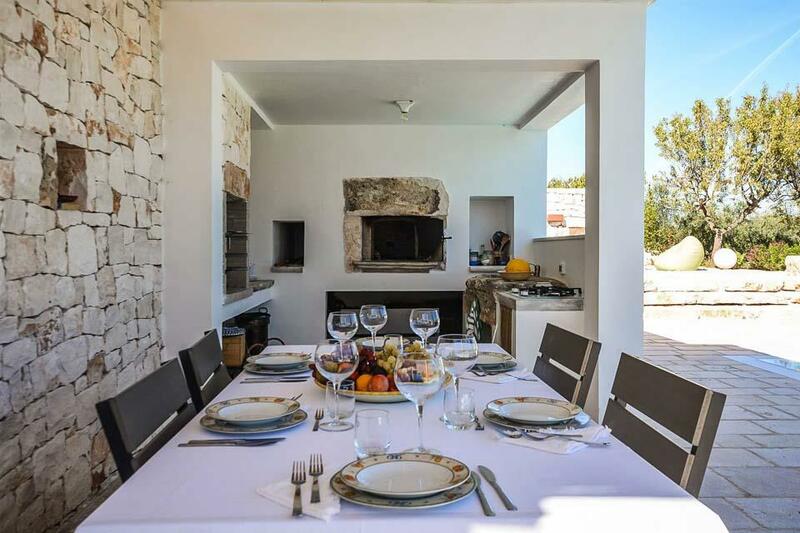 The first villa consists of a large, open plan lounge and kitchen area designed with a country feel with one of the double bedrooms and main bathroom. 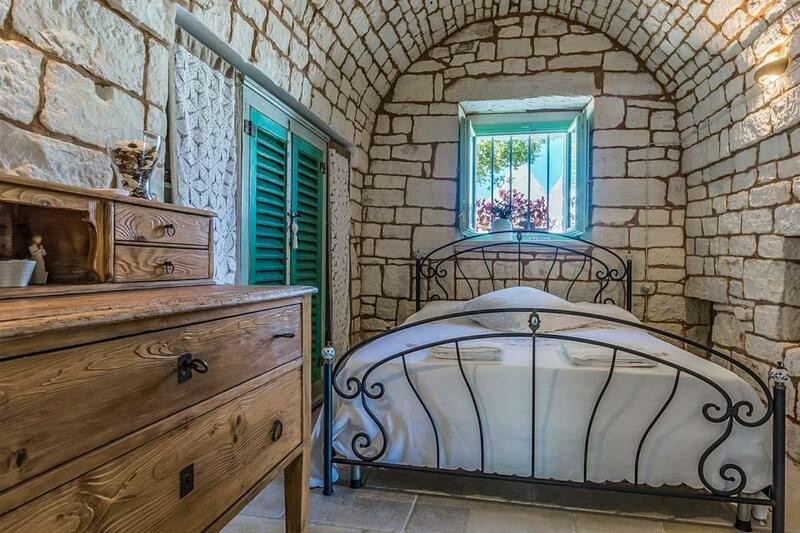 The second villa also has 2 bright double bedrooms each with a fantastic view of the open countryside. 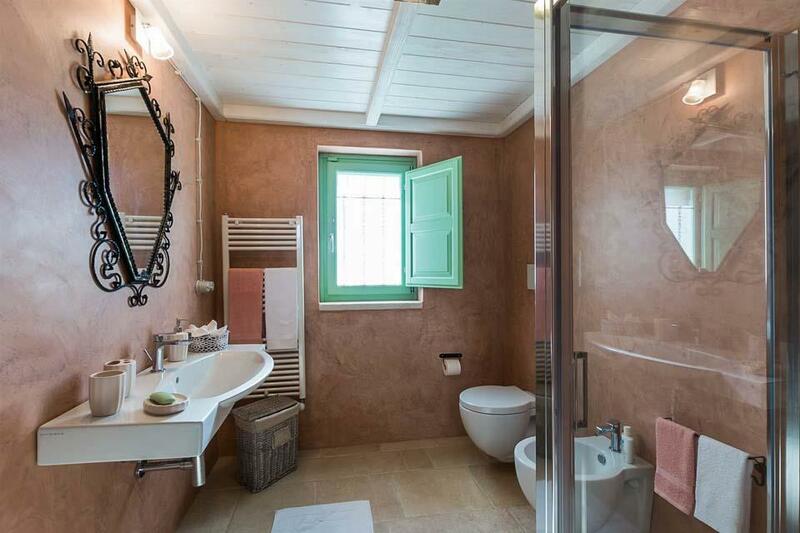 There are 5 bathrooms to share, one of which is located outside by the pool terrace. 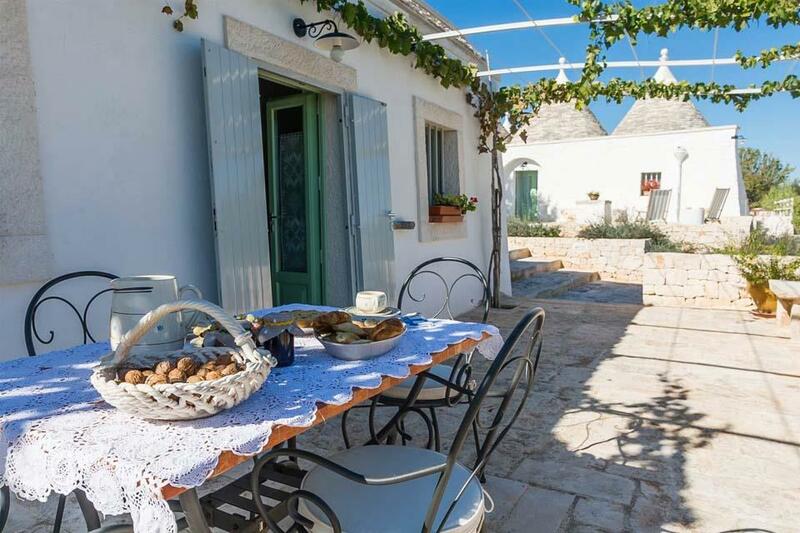 If you can drag yourself away, why not visit one of the many historical cities that Puglia has to offer. 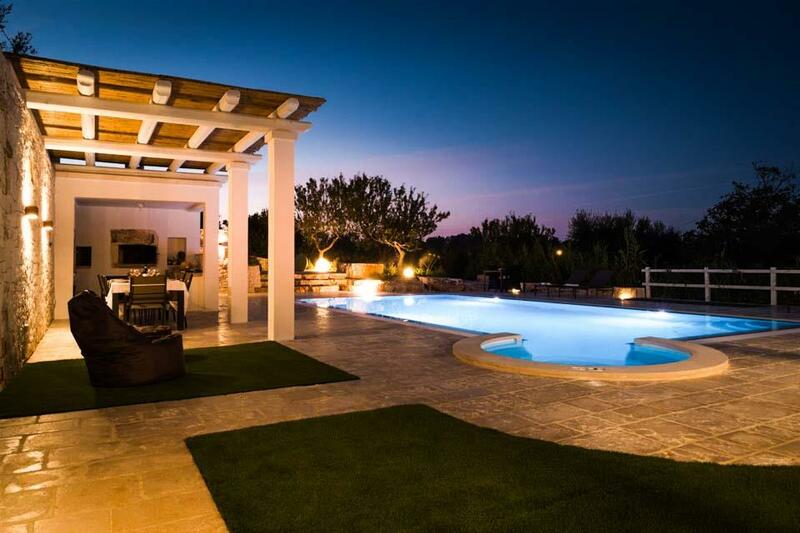 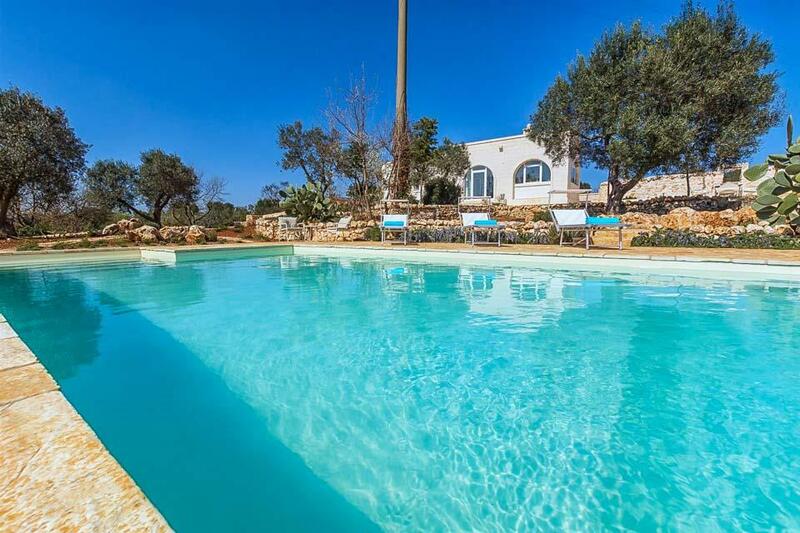 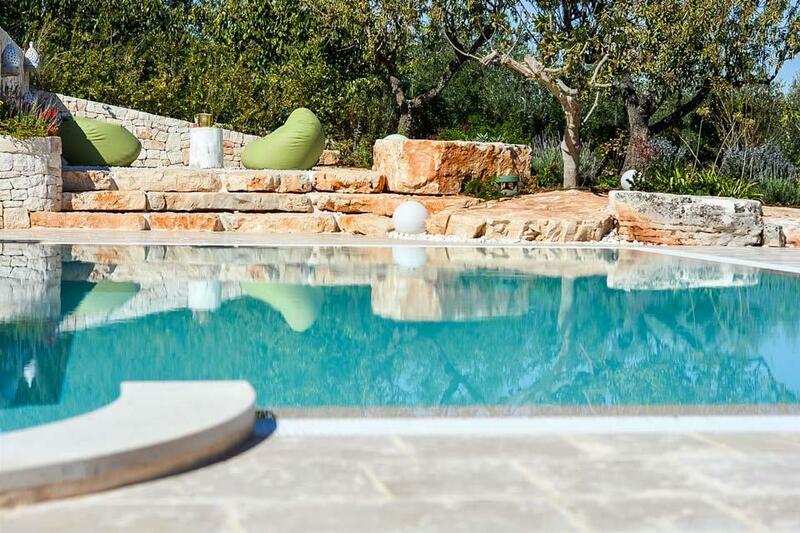 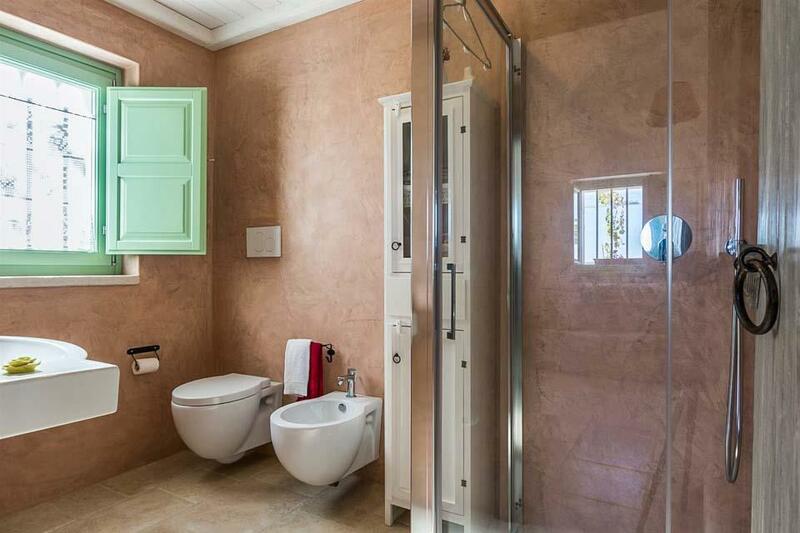 Recently constructed in 2016, Villa Lumiere is a fantastic villa with pool, private drive, but still within a 5 minutes’ drive to the White City of Ostuni. 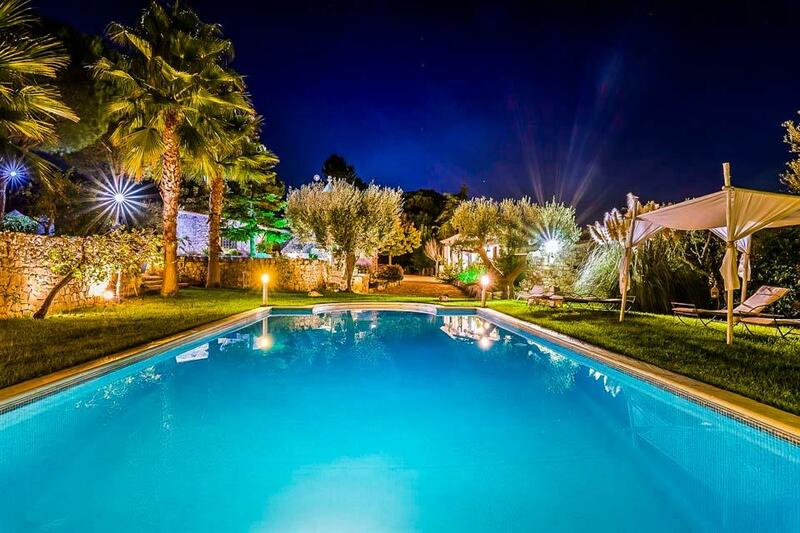 Nestled within 8,000sqm of gardens, with a variety of trees and shrubs, the villa has views of..